The building is formed of a basement, a ground floor and is two floors high. Its façade is symmetrical with the passageway situated between the two central lines. The windows present frameworks on all levels, highlighted by cornices at the superior levels, where the sills are marked by rectangular panels. The building was erected in 1889 by the German University with the purpose of hosting the Midwife School (Gebärklinik.). 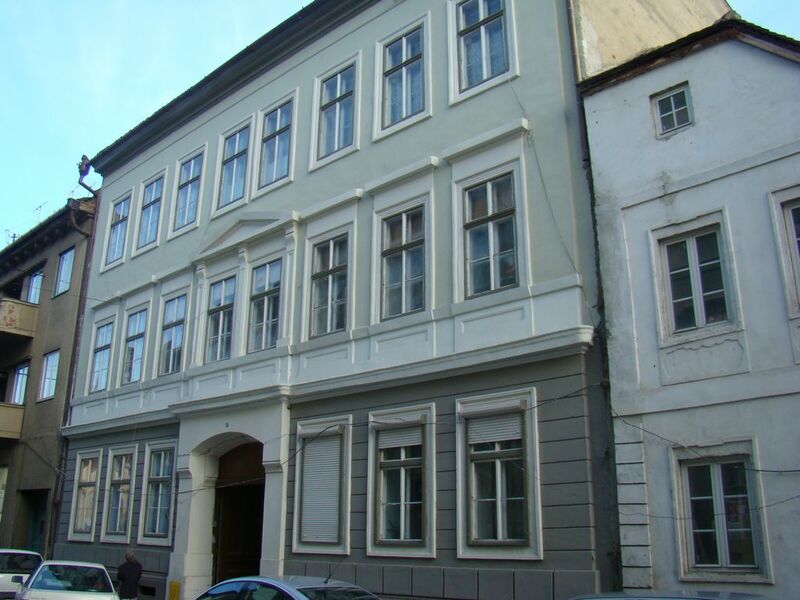 In 1898 it moved on Trei Stejari Street. The Association of Young Traders moved here instead (Verein fur Junger Kaufleute).